Companies don’t have to get it spectacularly wrong to fail at Twitter. The Valleywag blog has been openly critical of the way the New York Times has embraced the medium after the paper announced it had a new social media editor in Jennifer Preston. 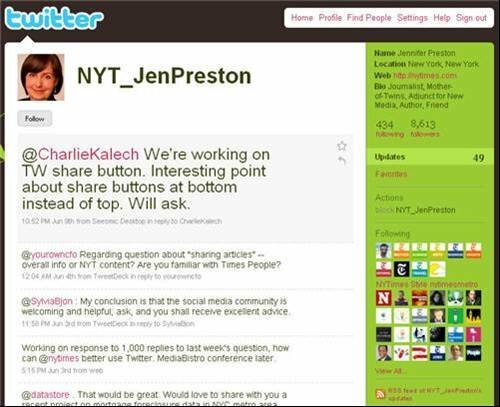 The blog said, “We speculated she would do comical stuffy-NYT-meets-freewheeling-internet activities like cracking down on newsroom Twitterers (and maybe trying out this "Twitter" herself?). We were correct.” It added one of the aspects of Preston’s role would be to police what NY Times journalists are tweeting, although the paper said this was not the main purpose of her role. Twitter is supposed to be an intuitive technology, easy to get the hang of and proving its worth the more you use it. But on Twitter, as on many social media sites, users seem to exist in one of two camps – those who get it, and those who don’t. There are celebrities who don’t follow anyone, treating the site like a broadcasting service and apparently finding not one person interesting enough to follow. There are companies and publications who only update on their new products, or stories, apparently unaware that the real point is engagement. And then there are those who get it spectacularly wrong.